The James Madison Presidential Dollar was released into circulation on November 15, 2007. 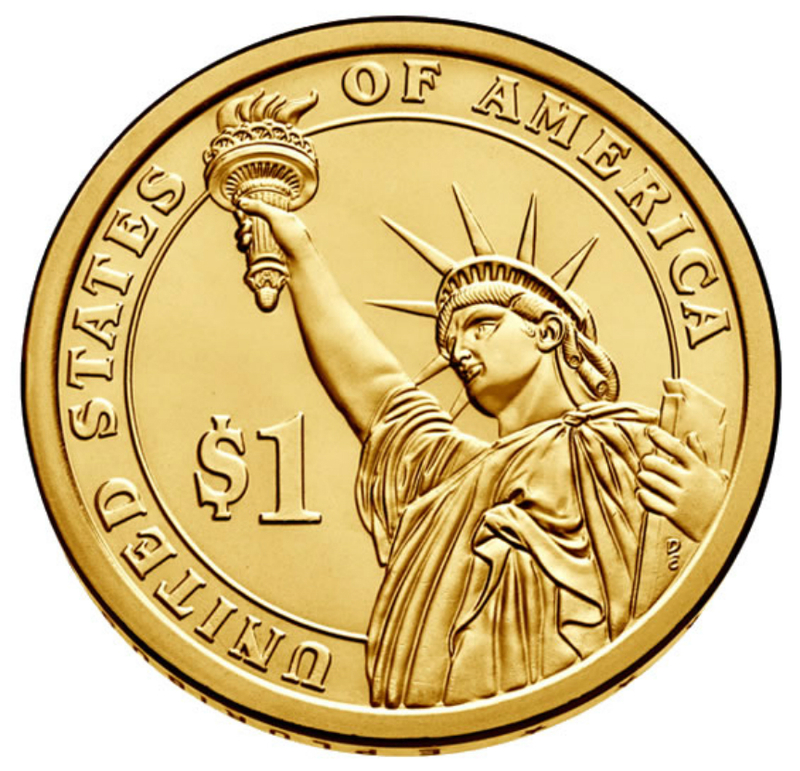 This represented the fourth overall release in the Presidential Dollar coin series and the final coin released for the year 2007. James Madison was an important figure in determining the course of the early United States. With Alexander Hamilton and John Jay, he wrote The Federalist Papers, which advocated the adoption of the Constitution. He also helped secure passage of The Bill of Rights. He served two terms as the 4th President of the United States from 1809 to 1817. 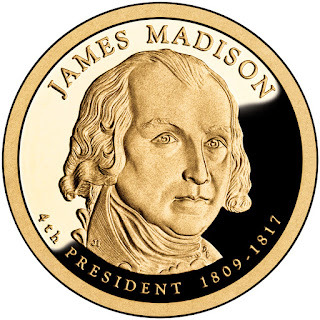 There was no official launch ceremony held for the James Madison Presidential Dollar. This is one of only a few situations where a launch ceremony was not organized by the United States Mint for a new release of the series. The obverse of the James Madison Dollar features a portrait of the President and the reverse features a rendition of the Statue of Liberty. The obverse designer was Joel Iskowitz and the sculptor was Don Everhart. The reverse designer/sculptor was Don Everhart. Circulating coin production for the James Madison Dollar showed another drop from the level for prior release. This continued the trend of lower overall mintages for each release of the Presidential Dollar coin series. The Philadelphia mint produced 84,560,000 coins and the Denver mint produced 87,780,000 coins. James Madison, Jr. (March 16, [O.S. March 5] 1751 – June 28, 1836) was a political theorist, American statesman, and served as the fourth President of the United States (1809–17). Following the American Revolution, Madison was instrumental in determining the course of the new Republic and in framing the government of the new Nation. With Alexander Hamilton and John Jay, Madison wrote The Federalist Papers, a series of 85 essays that advocated the adoption of the United States Constitution. In Congress, James Madison helped secure passage for the Bill of Rights. Madison inherited his plantation Montpelier in Virginia and owned hundreds of slaves during his lifetime. A student of both history and law, James Madison attended the College of New Jersey (later known as Princeton University), returning to his native Virginia to help craft that state’s Constitution, as well as serving as a leader in the Virginia Assembly. He served as both a member of the Virginia House of Delegates and as a member of the Continental Congress prior to the Constitutional Convention. After the Convention, he became one of the leaders in the movement to ratify it, both nationally and in Virginia. His collaboration with Alexander Hamilton and John Jay produced The Federalist Papers, among the most important treatises in support of the Constitution. Madison changed his political views during his life. During deliberations on the constitution, he favored a strong national government, but later preferred stronger state governments, before settling between the two extremes late in his life. In 1789, Madison became a leader in the new House of Representatives, drafting many basic laws. He is noted for drafting the first ten amendments to the Constitution, and thus is known also as the "Father of the Bill of Rights". He worked closely with President George Washington to organize the new federal government. Breaking with Hamilton and the Federalist Party in 1791, he and Thomas Jefferson organized the Democratic-Republican Party. In response to the Alien and Sedition Acts, Jefferson and Madison drafted the Kentucky and Virginia Resolutions arguing that states can nullify unconstitutional laws. As Jefferson's Secretary of State (1801–1809), Madison supervised the Louisiana Purchase, which doubled the nation's size. Madison succeeded Jefferson as President in 1809, was re-elected in 1813, and presided over renewed prosperity for several years. After the failure of diplomatic protests and a trade embargo against the United Kingdom, he led the U.S. into the War of 1812. The war was an administrative morass, as the United States had neither a strong army nor financial system. As a result, Madison afterward supported a stronger national government and a strong military, as well as the national bank, which he had long opposed. - Act of December 2, 1812 — This Act directs the location of the United States Mint to remain in Philadelphia for another term of five years, beginning March 4, 1813. 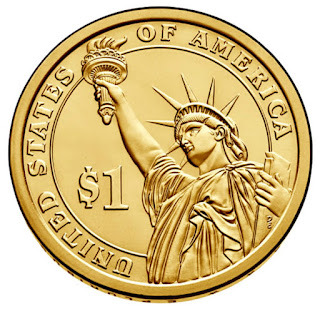 - Act of April 29, 1816 — This Act authorizes certain gold and silver coinage from foreign countries as current and legal tender for the payment of all debts within the United States. Specific rates of exchange are enumerated for the coins of England, Spain, Portugal and France. The Act also calls for an annual assay of such coins made current by the Act, and for a report to the Congress detailing the results. - President James Madison did not appoint a Director of the United States Mint.